We're Nick and Lindsay and we're thrilled you're with us on this amazing journey called life. 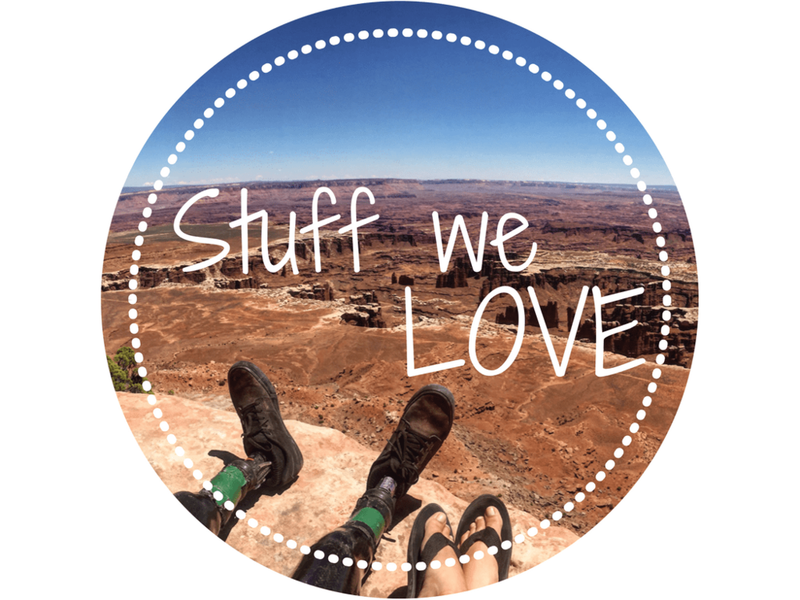 In this blog, our labor of love, you will find stories and videos about our travels, tips to help you travel more, and advice about the adventures that make us tick. We hope you will dive in and find tools and inspiration to face your fears, live passionately, get out of your comfort zone, and travel often. We really hope you stick around a while, browse the many topics we write about, give us feedback, come say what's up on Facebook or Instagram, and maybe even subscribe to our monthly newsletters so you know when we publish something new or where we're off to next. Maybe you'd like to work with us. Find out how we can help your brand grow by checking out our Work With Us page. We met in 2005 at a popular skydiving spot in California and hit it off immediately. Despite that, it took us 10 years to finally get married. You'll have to talk to Nick about that one. Besides skydiving, in our early days together we loved to tent camp and ride dirt bikes in the desert. At some point along the way we started traveling together and got the opportunity to skydive in Belize together, SCUBA dive in Puerto Rico, and drink margaritas in Mexico. We bought a home in California and instead of feeling like "we made it," I was haunted with the feeling of being stuck. Something was missing. In late 2010 we finally put together a 5 year plan that would begin in the summer of 2011 and take us around the world living and jumping in places like New Zealand and Switzerland, chasing the warm weather. Sadly that initial plan never got going, because like many Americans, we simply put it off following our dreams until it was almost too late. In 2011 at the age of 33, Nick had a devastating skydiving accident that changed our lives forever. Life for us during Nick's recovery was extremely hard. It took him almost a year to learn to walk again, and another year to gain his strength back after having multiple surgeries on his spine. 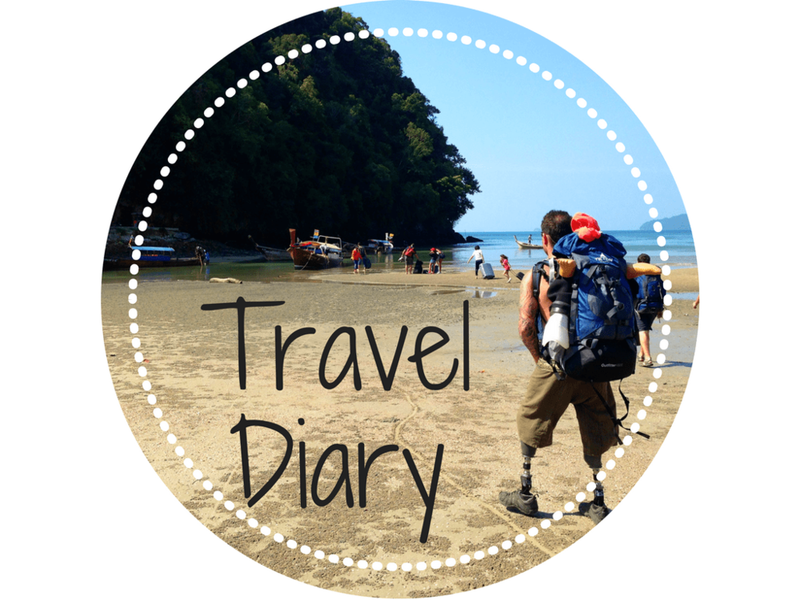 Then there was the challenging task of coming to accept being permanently "disabled." The first jump after Nicks accident! But as you've probably noticed, becoming a double amputee wasn't enough to hold Nick down. Since recovering from the accident he has proudly obtained his motorcycle license, learned to kite surf in Thailand, become an FAA certified parachute rigger, tried ice skating (never again! 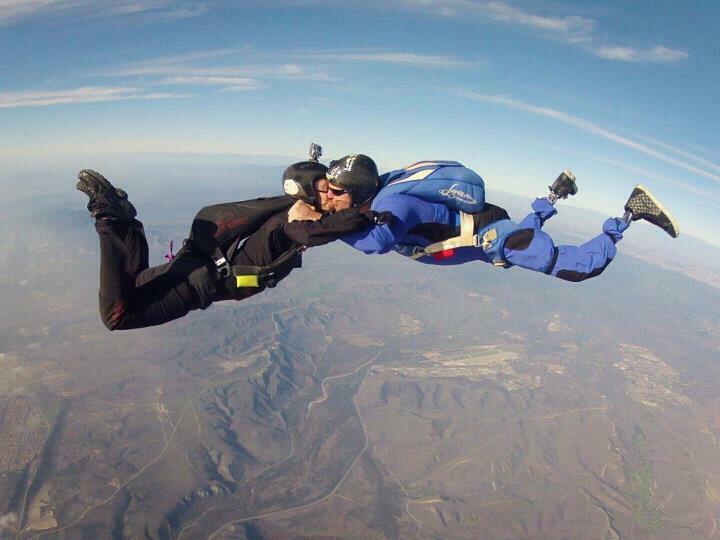 ), made over 500 more skydives, made his first of over 40 B.A.S.E. jumps, and most recently learned how to ride a monoski on the snow. Together we've taken two 4-month trips to SouthEast Asia to explore the sights, SCUBA dive, pet elephants, do yoga, meet Buddhist monks, and celebrate different cultures with the locals. In July 2016, we sold everything, downsized our lives and moved into a 29-foot travel trailer to achieve a dream of becoming truly nomadic. You can read about some of those adventures here. We're easy to reach and would love to hear from you! Write us a message, we don't bite. Nick is a Southern California native with an insatiable appetite for a good time. He worked as a plumber and then a skydiving instructor for several years before having his accident in 2011, leaving him a bilateral below-knee amputee with an incomplete spinal cord injury. Nick's positive attitude and will to live has taken him from intense hardship to following his dreams. 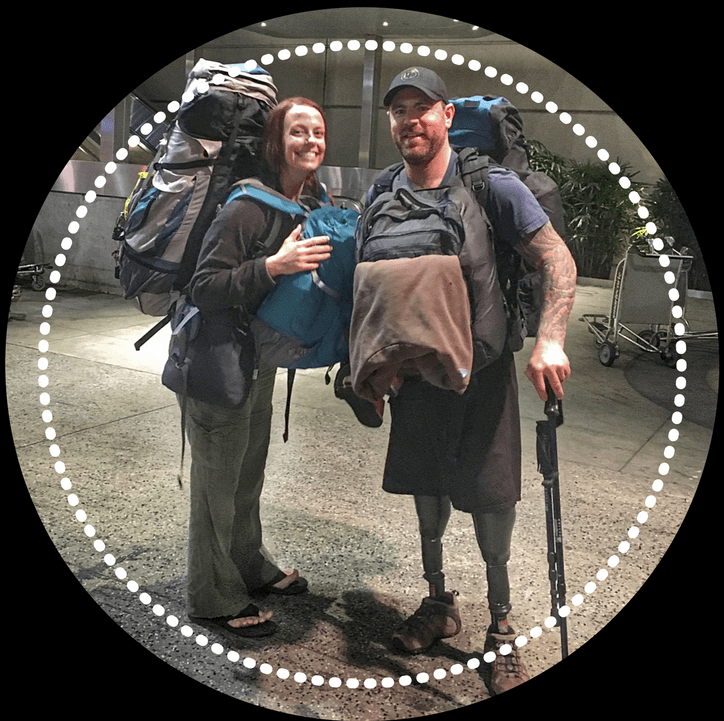 Since losing his legs, he has returned to the sport of skydiving and SCUBA diving, obtained his motorcycle license, learned to kite surf, learned to mono-ski, become a parachute rigger, and has travelled around South East Asia, Mexico and all around the US in an RV. Lindsay loves to eat on the streets! Lindsay, a native Southern California 80's baby, does most of the writing and photography for the website and all the video editing. She's an experienced budget traveler with multiple trips to South East Asia, Europe, the Caribbean, and now all over the States. She has a passion for writing, cuddling with dogs, making untimely and inappropriate jokes, lifting weights, and exploring the world. When not blogging she works as a skydiving instructor, freefall videographer, and the occasional yoga teacher. Now that they're traveling full-time in the States in an RV you can find her dropping-in to Crossfit gyms and yoga studios around the country. 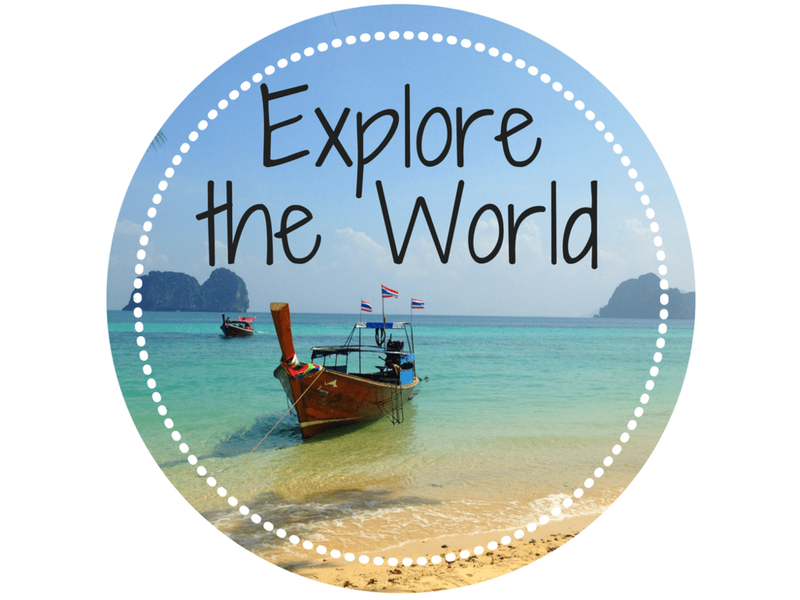 Each Little Adventure - Why Travel the World?